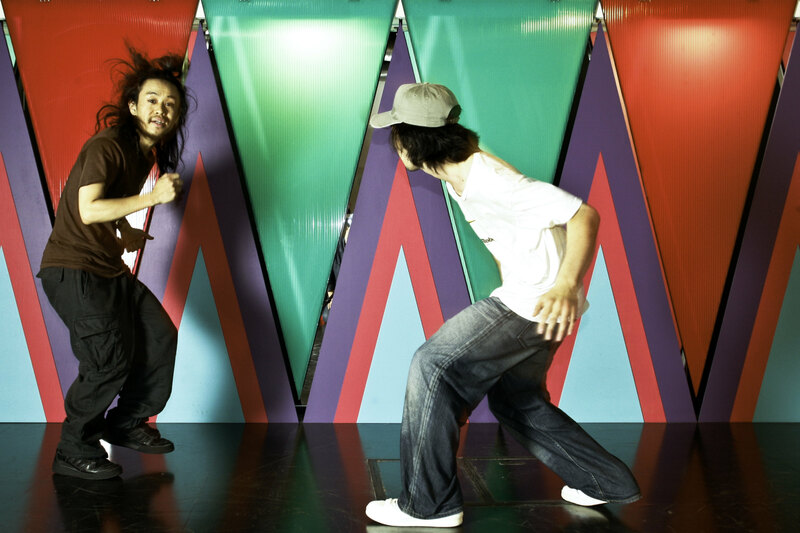 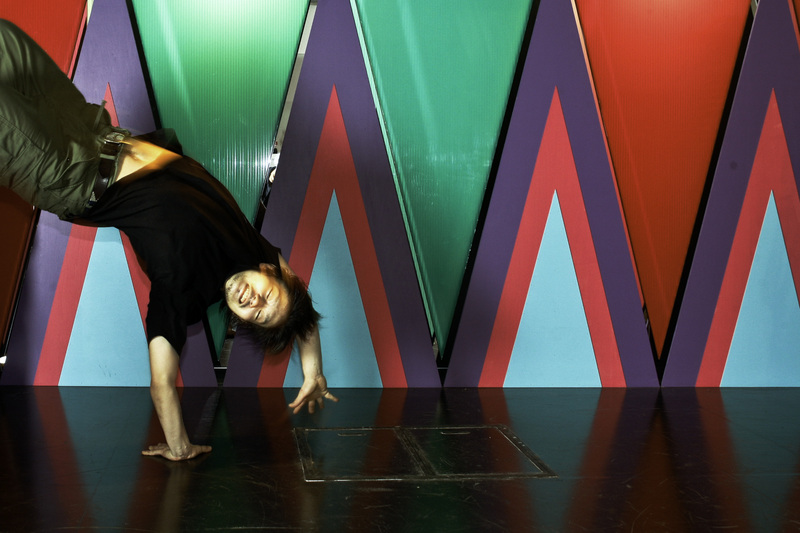 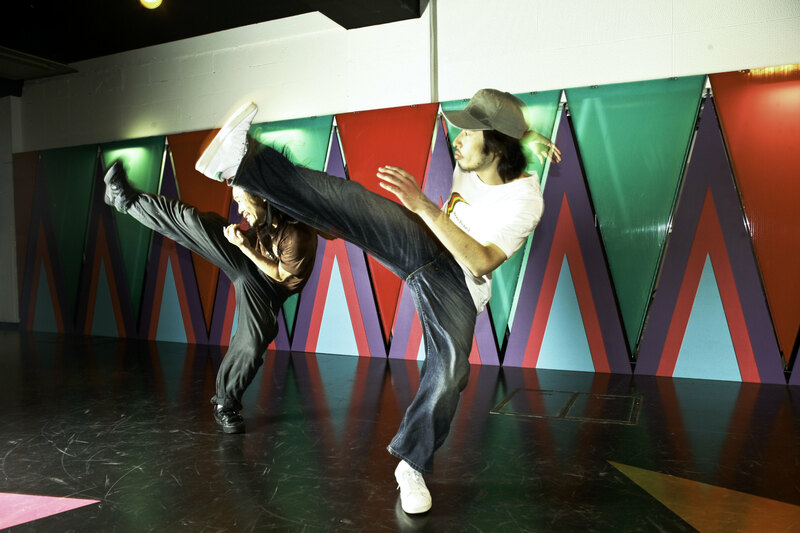 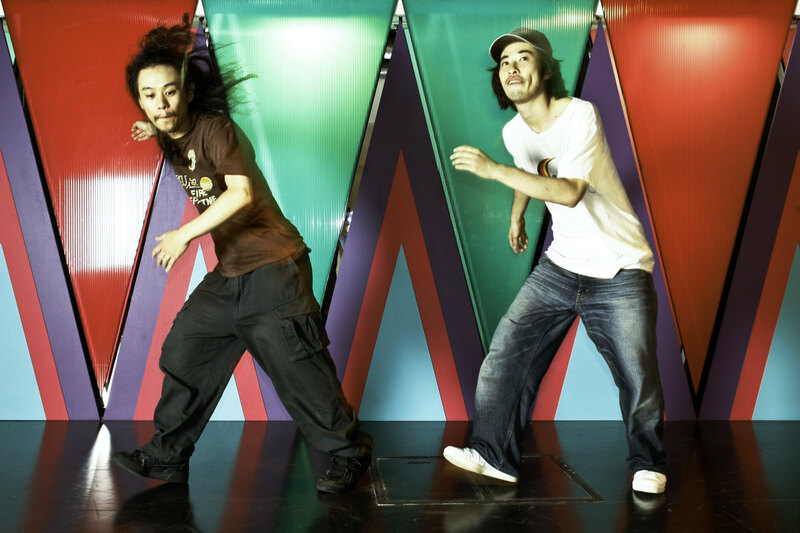 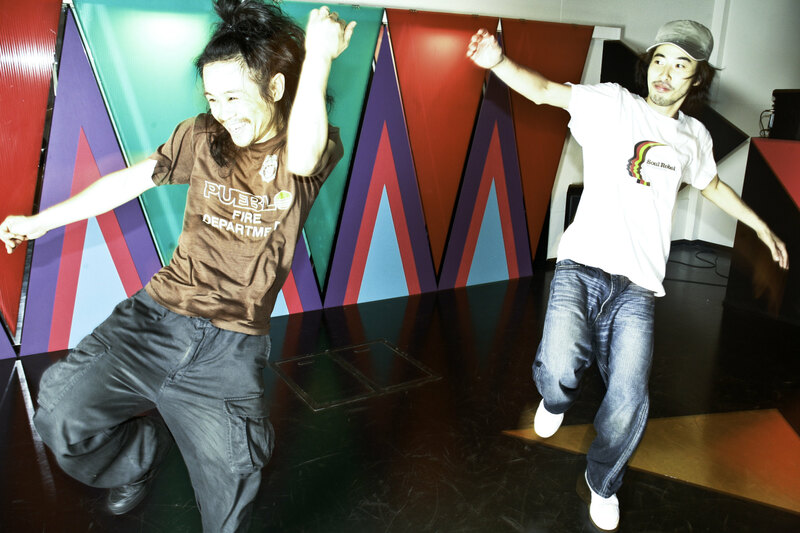 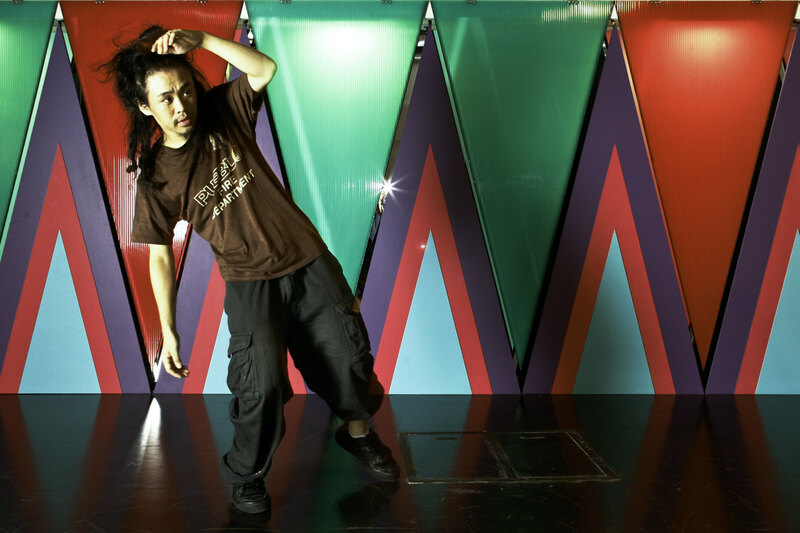 The project was initiated by a street dancer who wanted to bring street dance scene to a higher cultural level. 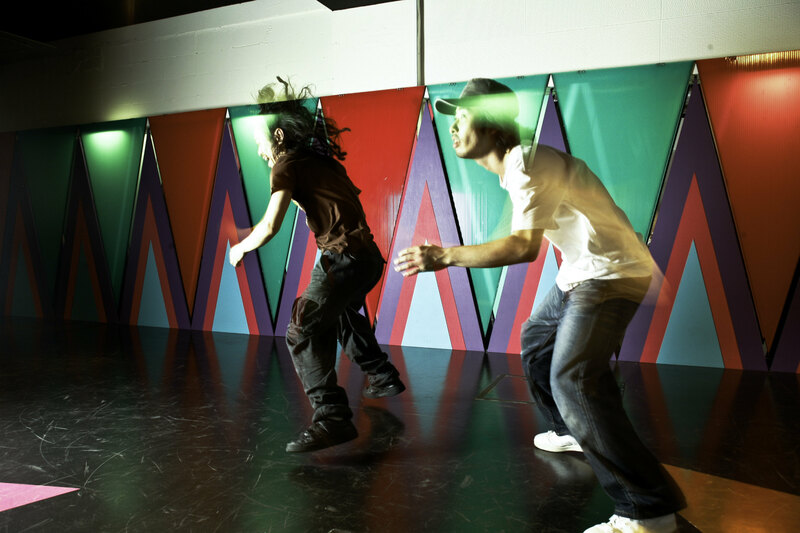 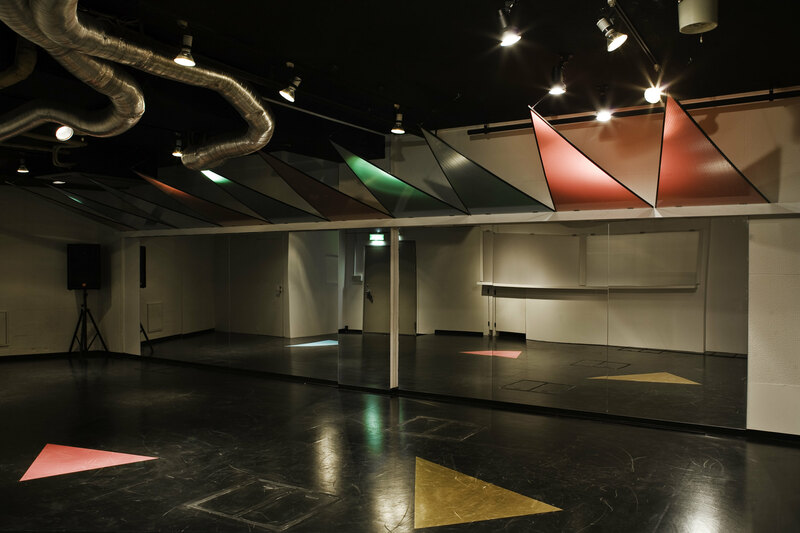 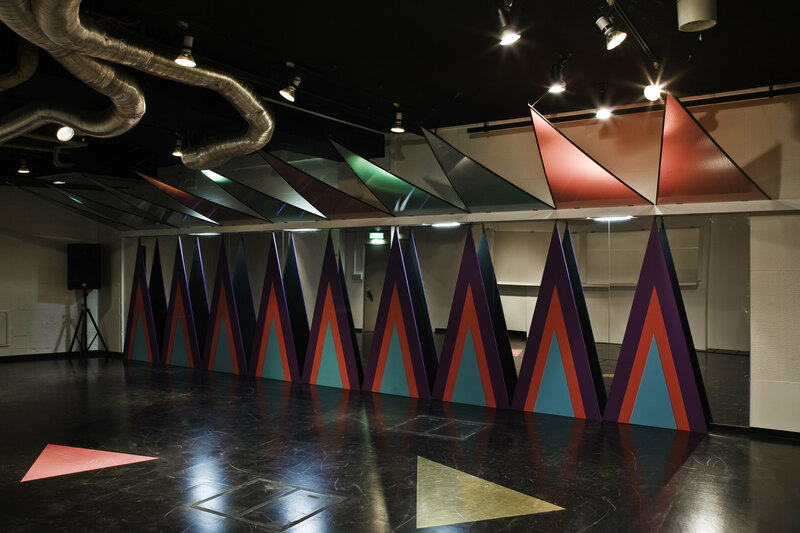 The space has two faces; it is open for dance education and cultural events related to dance in the daytime, while it provides a cafebar/clubspace in the night time having different dance events every night. 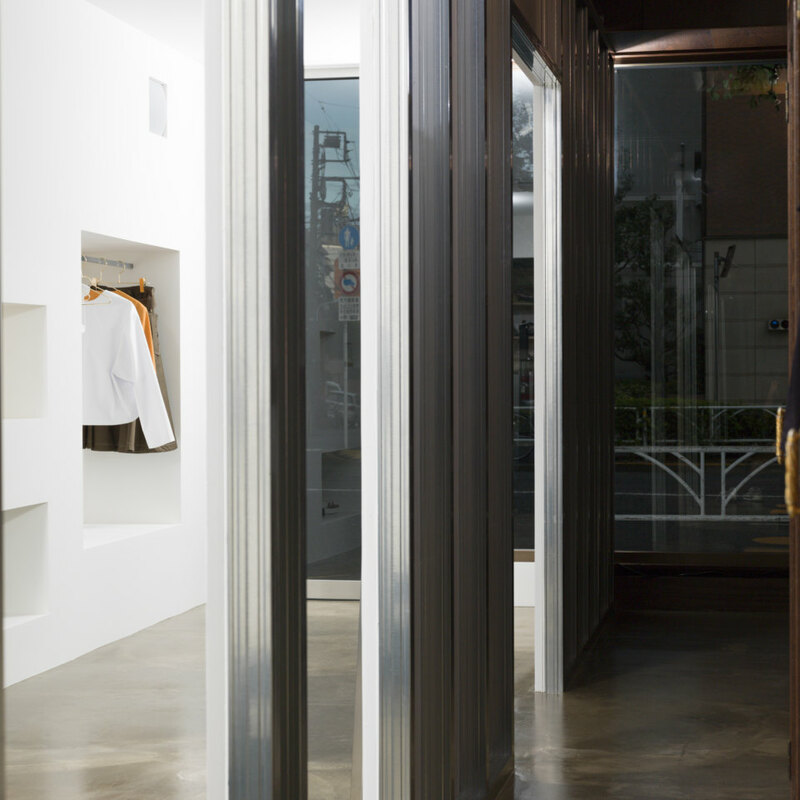 To satisfy both atmospheres, the wall mirror is covered by geometric pattern wall panels. 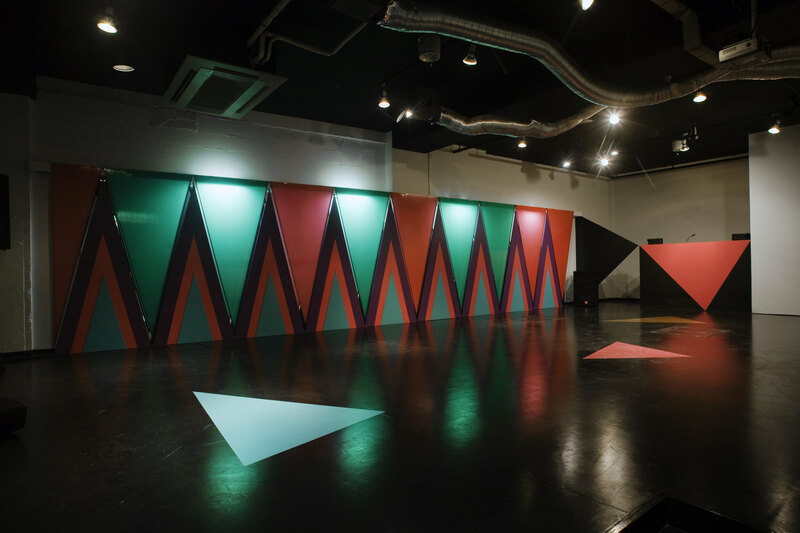 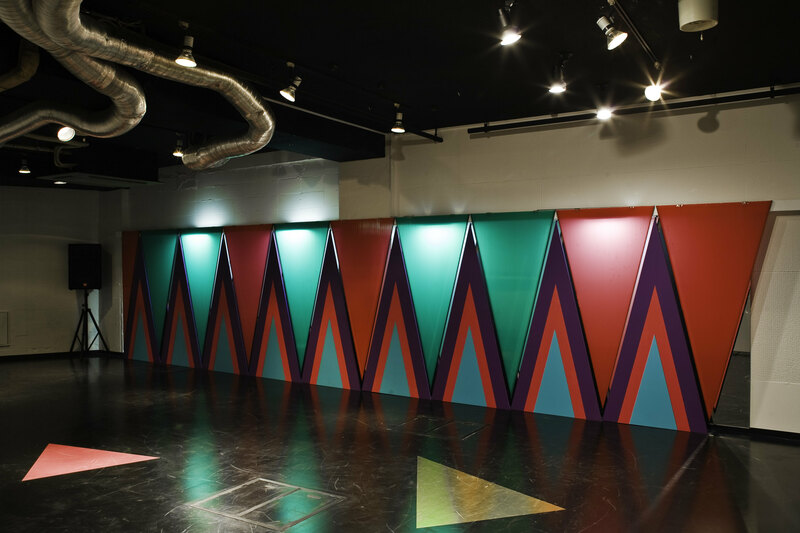 In the day, they all open up to make the use of the full wall mirrors, however, in the night, they cover the mirror to create the unique club atmosphere.